When it comes to Timbers, there can be as many applications as you can conjure in your mind. Whether you’re looking to accent an existing design or add a touch of elegance to your space, a Reclaimed Wood Timber can be the perfect fit for the missing link you’ve been searching for to complete your design vision. Since our founding, Manomin Resawn Timbers has been helping families and individuals find the perfect Reclaimed Wood Timbers and Beams to execute their design dreams. From rustic to chic, our dedicated team of craftsmen can create the wooden focal point your home has been lacking. 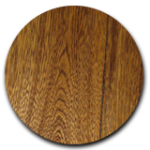 Ecowood products also exist, they offer the look of wood whilst offering additional benefits like not rotting! Why not visit www.recycledplasticbuildingmaterials.co.uk for more information! We offer our clients their choice from our five distinct wood timbers and beams, including Hand Hewn, Weathered Antique, Box Beams, Antique Elm, and Reclaimed Douglas Fir styles. Hand Hewn Timbers are one of our most popular options when it comes to Timbers and Beams. The term hand hewn refers to how the timber was crafted. These Timbers started as fallen logs which were then hewn, meaning to chop or cut with an ax, pick, or another tool, by adzes. Adzes have been a popular tool used throughout history; early settlers used these tools to craft timbers from their available lumber, typically ash, oak, elm, maple, or hemlock. While settling in the U.S., farmers used these Hand Hewn Timbers to build homes and barns. At Manomin, we’ve successfully recovered many of these original Hand Hewn Timbers. A majority of our supply has been sourced from our neighboring state, Wisconsin. Each Hand Hewn Timber is unique in its own way but can be pair perfectly with other timbers of the same make. Our Weathered Antique Timbers are as captivating as the time period they hail from. Each Weathered Antique Timber has been sourced directly from a 19th or early 20th-century barn. You can see the progression of the era reflected in the unique qualities of these remarkable Weathered Antique Timbers. 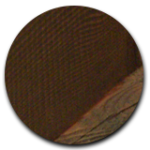 With a brown and grey patina and naturally textured finish, these Timbers reflect the change from handheld machines to the more popular giant circle saws. What use to take farmers hours turned into a nearly automated system, leading to a surplus of Timbers being manufactured in that time. If these Timbers could talk, they would tell you of the years in which they played an important role in our country’s second Industrial Revolution; the Technological Revolution. 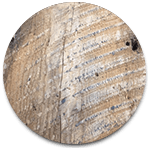 Our Weathered Antique Timbers have a smoother finish than some other reclaimed beams while maintaining a high level of personality and individuality. From newel posts to mantles, to beams, a Reclaimed Wood Box Beam can bring a flare of drama to any space. Perfect for those with unique limitations, Faux Beams have all the character of reclaimed wood timbers with the custom adaptiveness that you need. If you have structural requirements that keep you from making the changes you want in your home, then a Reclaimed Wood Box Beam may be the perfect solution to your design dilemma. Made from Douglas Fir, Weathered Antique, or Platinum Gray materials, a Manomin Faux Beam can transform your space. With a simple installation process, our Box Beams can bring history to newer homes and a sense of grandeur to historic properties. With wormholes, peg holes, and mortise pockets abound, Manomin Antique Elm Timbers instantly add a sense of character to any space. All of our Elm Timbers are created using wood sourced from barns dating back to sometime between 1820-1880. During this sixty year period, our antique Elm Timbers underwent a natural cycle of weathering and use. 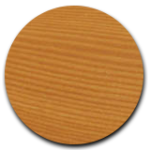 And due to the Dutch elm disease that took place in the 1970s, these Elm Timbers are some of the only elm products and home furnishing on the market. Saved from the ravages of the disease, our Antique Elm Timbers boast beautiful grain patterns, iridescent shimmer, and a lustrous sheen. Scavenged from the remains of Industrial Revolution era warehouses and factories, the Reclaimer Douglas Fir Timbers that we have been able to acquire represent a versatile blend of design and style opportunities. Due to the forgiving nature of Reclaimer Douglas Fir, these beams lend themselves to nearly any style or aesthetic. Take your choice between rough sawn or planed smooth when deciding on your next Reclaimed Douglas Fir piece. Whether you’re renovating an office space or building a new home, a Manomin Reclaimed Wooden Beam can be the finishing touch your project has been looking for. From chic and stylistic to rustic and charming, a Reclaimed Wooden Timber can be used to complete or complement your project’s aesthetic. Manomin Beams can be used for nearly any application. Between our Hand Hewn, Weathered Antique, Box Beams, Antique Elm, and Reclaimed Douglas Fir styles together we’ll be able to create the perfect custom accent piece for your finished design. 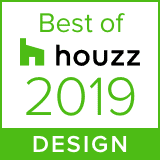 We’ve been helping homeowners and designers utilize reclaimed woods in their designs since 2000, and are proud to have been recognized for our efforts in customer service and satisfaction. We take pride in the level of care put into each piece of Reclaimed Wood that passes through our doors. 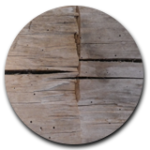 Before your Reclaimed Beams leave our shop they will be thoroughly de-nailed, cleansed, kiln dried, and debugged. We get our wood from only the most trusted of sources right here in the U.S., so rest assured knowing that your reclaimed wood is in the right hands from the moment it’s discovered.